The HERO Junior RT-1 Charger Adapter is a Power Supply replacement designed by ReActiveMicro.com. The Charger Adapter replaces the old HERO Junior RT-1 AC Power Supply with a new, modern solution for Robot. 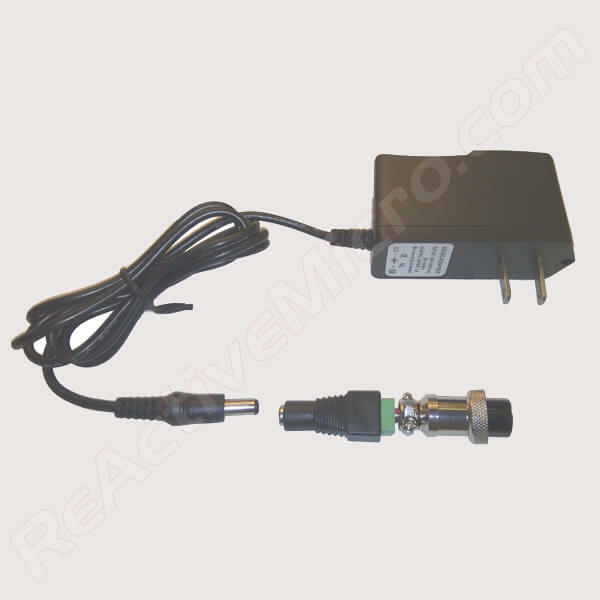 The main advantage of the Adapter is in utilizes a standard 5.5mm (2.1 x 5.5mm) plug for the DC connections. This allows a standard Universal AC to DC Regulated Power Supply to be used unlike the original design. Read more about the HERO Junior RT-1 Charger Adapter on our Wiki. Reviews and Support are there also.